Here are 10 different ways to celebrate the heritage, accomplishments, and culture of African Americans this Black History Month! Bring Hip Hop into your class and celebrate music and artistry by having a dance party. Take a virtual field trip (360cities.net) and view artifacts, monuments and museums that celebrate African American History. Host a “Who Am I” scavenger hunt by giving students descriptions of influential African Americans and have them search for the person. Share Awesome Announcements each day by having students read a biography of an influential African American and discuss their accomplishments. Research #BlackLivesMatter together as a class and discuss its significance. Read an Article a Day hosted by ReadWorks to discuss together as a class. Write a letter from a past African American historical figure to a present African American historical figure or vice versa. Explore the Smithsonian National Museum of American History “Separate is Not Equal” exhibit to gain understanding on the Brown v. Board of Education historical decision. 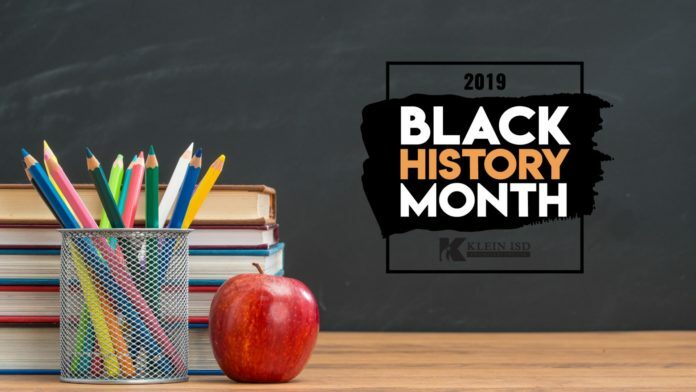 Reflect on the article “Black History Month 5 Leaders Making History Now” and discuss how these African Americans are currently making history. Have students review the Black History Month Pinterest board and choose a quote that they love or have them create their own board using Padlet with quotes that they choose.